AMAZING RESULTS!™ Estate Agency network is one of Scotland’s largest Estate Agents with local Professionals in over 20 locations across Scotland, from Glasgow to Glenrothes and from Aberdeen to Ayr. Founded in 2013, AMAZING RESULTS!™ are the next-generation Estate Agents with a national network of local Professional Estate Agents that consistently rank highest in customer satisfaction. We provide years of award-winning Estate Agency experience with 1,000’s of happy customers who’ll all tell you … “AMAZING!” comes as standard. THERE'S A WORLD OF OPPORTUNITY WAITING FOR YOU! “Hello, I'm Colin Jenkins and I'm fortunate to be the Founder of the AMAZING RESULTS™ Estate Agency network. Thanks for visiting our website today. Whether you're new to the Estate Agency industry, or an experienced professional, we have opportunities to provide you with a prosperous future. Thinking about a career in Estate Agency and wondering if it’s right for you? Or maybe you’re already an Estate Agent looking to achieve that work-life balance and high earning potential you've been seeking? Estate Agency isn't for everyone, but if you think you’ve got what it takes, you’re motivated by success and like being part of a winning team with a proactive, professional, ‘can-do’ attitude ... then I invite you to read on. You’ll discover a unique and powerful Estate Agency brand that’s refreshingly different from other Estate Agency models out there. This is where you'll be at the forefront one of the Scotland's leading next-generation Estate Agency organisations as an Award-winning Professional Estate Agent in an incentive driven, high commission-based environment with no limits. With new Agents joining every month, the AMAZING RESULTS!™ network is one of Scotland’s fastest-growing Estate Agency brands and there has never been a more exciting time for you to find out how you could be part of the future of Estate Agency. We have an aggressive growth strategy for 2019 with opportunities across Scotland and we are now looking for ambitious and talented individuals such as you to join in our success. By accessing the world's best Estate Agent technology, training and marketing systems with the UK's top property websites including Rightmove, Zoopla, Primelocation and S1 Homes, we want you to become the premier Agent for anyone looking to buy or sell a property in your marketplace. With enormous online advertising, longer opening and some of the best Estate Agents in the business, our mission is the same as it was in the beginning; to be the trusted name that makes buying and selling a home, simple, straightforward and successful. With new Agents joining every month, from right across Scotland and the North of England, AMAZING RESULTS!™ has grown into a national network that’s now among the Scotland’s fastest-growing Estate Agencies. Our Agents are the local professionals in their markets, consistently ranking highest in customer satisfaction. 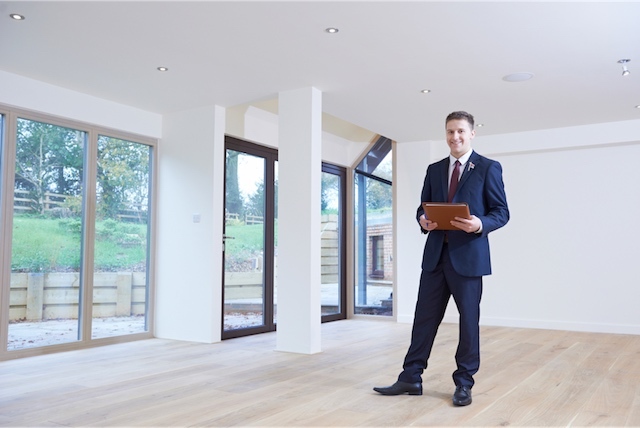 The next-generation Estate Agency with a market-leading business model and state-of-the-art everything, you have everything you need to be a successful Estate Agent. The local Professional Estate Agents who get results. WHY WOULD YOU CHOOSE TO BE WITH SOMEONE ELSE WHEN YOU CAN JOIN THE BEST? World-class training. Leading technology. Award-winning Estate Agents. Be part of one of the best and most trusted brands in Estate Agency. Whether you’re looking for Franchising opportunities or to become a local Professional Estate Agent, AMAZING RESULTS!™ offers you the training, technology and support you need to be the industry's best. EXPECT MORE. BE MORE. EARN MORE.